This is exciting! 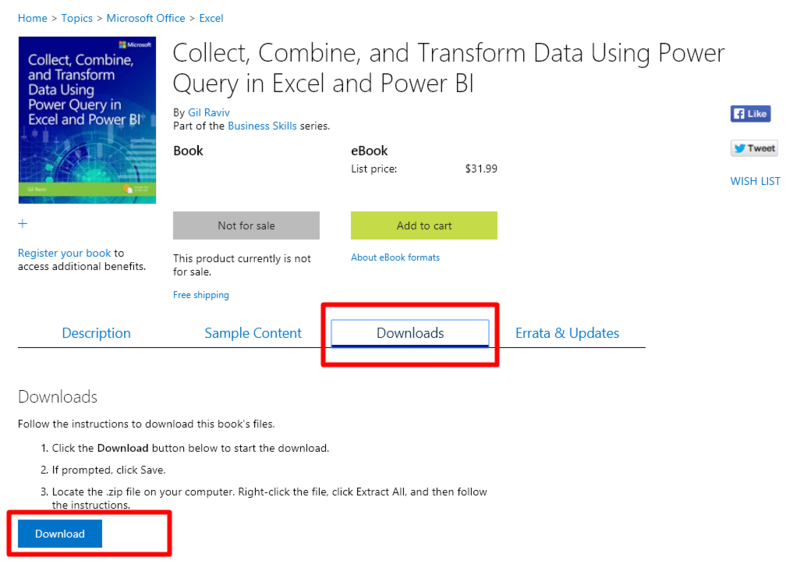 The digital version of the book “Collect, Combine and Transform Data Using Power Query in Excel and Power BI” is out. You can purchase it on Amazon here or on Microsoft Press Store here. Note: The book includes 70+ step-by-step exercises with many sample files that are key components of your learning experience. You can download the files from Microsoft Press Store site here. The paperback version will be ready later this month. I ordered the book months ago, is there any way I can get the electronic version while I wait? Hi Gil, the same went for me as well. Luckily I did the dual purchase/discounted order back in August and have downloaded the ebook today. I’m extremely excited to read it cover to cover. I’ve been waiting for this book for a very long time now. Thank you! Thank you so much. I hope that the book will meet your expectations. Looking forward to hearing about your journey as you go through the chapters. Gil, Amazon is saying they should have it in stock by Nov 7. Is that accurate? I know their “expected by” dates aren’t always correct for technical books. Pretty accurate for the big best seller lists, but not these books of a smaller run. I was told by Pearson that the book is expected to be in stock before Nov 7. Most likely before the end of this month.